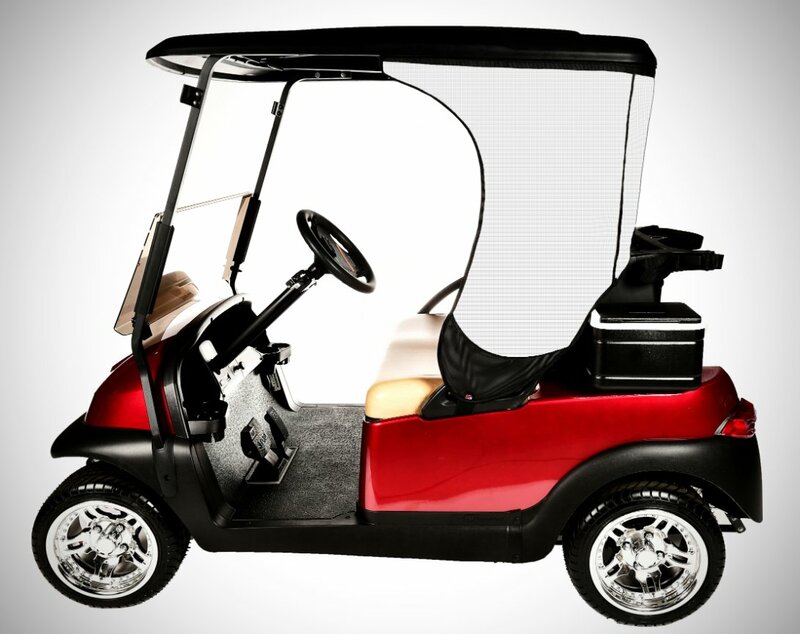 SHADYS attach to golf car tops with Velcro to provide occupants with three-sides of sun protection and shade to keep cool, Shadys provide the equivalent of 90% shade, and block up to 90% of the sun’s harmful UVA/UVB rays that can cause skin problems. SHADYS is a ‘must have’ for golf car owners who spend time in the sun. If protecting yourself from the sun and keeping cool is important, then a SHADYS is for you! Shadys shown on Club Car Precedent golf car. The Shadys shade screen has been photoshopped for background contrast purposes.